Our team gives the best every day – for you! 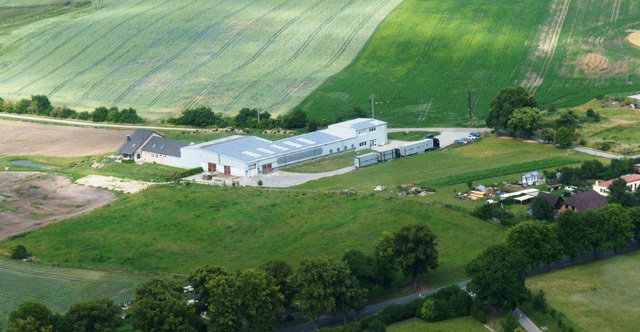 Our cattle wholesale was founded on October 1st in 1997 from Pieter Maat in Demmin/Mecklenburg-Vorpommern. Since July 2003 the company is based in nearby Vietgest. The Maat Viehgrosshandel GmbH & Co. KG has developed from year to year and has grown steadily. Nowadays we are a successful international company with its own vehicle fleet, known for its high-class trading with breeding, domestic and slaughter cattle as well as import and export business. The slaughtered animals are sold to various slaughterhouses in Germany, mainly to Perleberg. Farm and breeding animals are sold domestically and worldwide. We are specialized in the supply of fresh lactating heifers, as well as the provision of high quality breeding animals. Especially in this field, we can always give evidence of our exceptional quality standards. The name Maat stands for the very best animal material at the highest level. Latest technologies, world-class expertise and continuous qualification opportunities and further training of staff provide the desired performance capabilities of our cattle wholesale - for real business success. and K&K Petfood GmbH - a profitable collaboration for all parties involved. Every day over 12 staff members ensure that our cattle wholesale is represented as what it is: a very modern company that convinces customers with its expertise and reliability over and over again. Benefit from our years of experience, our valuable business contacts and our business skills! We will be pleased to advice you.